Eastern Wyoming College will be closed Monday May 29, 2017 in observance of Memorial Day. Offices will reopen on Tuesday May 30. The Fitness Center will be closed May 27-29 and will resume normal operating hours on Tuesday May 30. Employees recognized at EWC – Back row (L to R): Tom Andersen, Linda Evans, Kim Jones, Dr. Peggy Knittel, Jamie Sullivan, Andy Espinoza, and Kate Steinbock. Front Row (L to R) Jake Clark, Dr. Rick Patterson, Lynn Wamboldt, Karen Posten, Kim Russell. Eastern Wyoming College recently held a reception to recognize employees and honor them for their years of service to the College. President Dr. Rick Patterson, and Edward Meyer, Human Resource Director each spoke to congratulate and thank each person for the contributions they have made to the College. Those employees who will be retiring from the College this year were also recognized. Retirees include Andy Espinoza, 17 years; Dr. Rick Patterson, a combined total of 17 years; and Dr. Peggy Knittel, 27 years. Receiving recognition for 30 years of service to the College was Linda Evans; 25 years – Jamie Sullivan, Douglas Campus; 20 years – Jake Clark, Karen Posten, and Lynn Wamboldt; 10 years – Tom Andersen, Casey Debus, Kim Jones, Diane McQueen, Kim Russell, and Kate Steinbock. Nyambu shows Governor Matt Mead how to check a pulse during the Governors visit to the Douglas Campus last fall. Eastern Wyoming College nursing student Miltone Nyambu, Casper, WY was nominated for the Casper Star Tribune Top Nurse. Nyambu was recently recognized in the nominated nurses section of the Casper Star Tribune A-Salute to Nurses. In his nomination submission, nominator Susan Balfour, MSN, RN wrote “I realize that “real” nurses are supposed to be nominated for this recognition. Miltone exemplifies what being a nurse truly embodies even though he doesn’t have the letter RN after his name yet. I am honored to nominate Miltone for excellence in nursing. As he continues his education, he will gain knowledge, but the critical nursing components of caring, compassion, empathy, advocacy, and helping others come naturally for him. “I read Ms. Balfour’s email and the nomination letter to the nursing class and we were all in tears, great job Miltone, we are blessed to have you in our program” said Suzey Delger, MSN,APRN (Ret) RN Director of the EWC Nursing Program at the EWC Douglas Campus. Eastern Wyoming College Campus Ministries Club announces that the noon Presentation by Rev. Dr. Donald Simmons titled “Leadership and Communication in a New Age” that was going to be held on May 11, 2017, has been canceled. Dr. Simmons will still speak at the baccalaureate address on Thursday, May 11, 2017, at 7:00 p.m. for graduates and their families. Eastern Wyoming College is pleased to announce that four members of the women’s basketball teams have signed a letter of intent to continue their basketball careers. Emily Evans, Cheyenne, WY, has committed to the University of Alaska – Fairbanks. This is a NCAA division II college. “I am really excited. It will be an awesome experience and opportunity to be in Alaska,” said Evans. Sarah Bersang, Horsens, Denmark, has committed to the University of Idaho, a NCAA division I college. “I am excited to finish my basketball career at the highest level. It is a pretty area and the coaches seemed professional and friendly,” said Bersang. Carna Prokic, Subotica, Serbia, will play at Georgian Court University in Lakewood, NJ, a NCAA division II college. “I feel excellent about my decision and I am ready to go. It will be a new experience and good to see different things,” said Prokic. Anna Perez-Gomez, Canet de Mar, Spain, has committed to Appalachian State University in Boone, NC, a NCAA division I college. “I am really excited. It will be different because it is so big. It is a good program in a large city. I am happy and excited,” said Perez-Gomez. 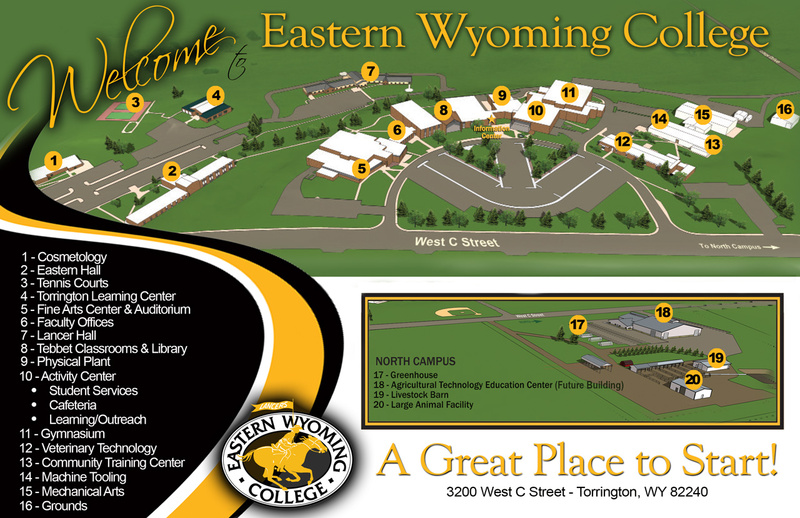 Eastern Wyoming College has announced that new student registration will be held for Goshen County students on May 30, 2017 at the main campus in Torrington. Students will meet with an advisor and register for the Fall 2017 semester. Students will have the opportunity to begin with the ACCUPLACER placement exams, if needed. This placement exam is used to ensure placement into the appropriate English, reading and math courses. There is a fee of $20 for these computer-based exams. Students should bring a calculator for the mathematics portion of the test. Students are encouraged to sign up early for the new student registration session. To sign up, call Marisol Chavez at 307.532.8230 or visit the EWC website at ewc.wy.edu to sign up online.